Body acne and “bacne” can be hard to treat without asking someone else to help you reach your entire back. Does ClindaReach finally have the solution for this awkward, embarrassing situation? We need to see if ClindaReach has the ingredients and elements necessary to get rid of acne before we can make that assessment. ClindaReach is a prescription acne kit that allows you to privately apply treatment to your body acne and “bacne” without needs someone else to rub it in. ClindaReach is an innovative acne treatment prescribed by doctors that uses prescription Clindamycin to eliminate hard to reach and stubborn acne. Clindamycin is a strong antibacterial agent and medication that kills bacteria and reduces swelling. Clindamycin has the power to stop bacteria from spreading as well. 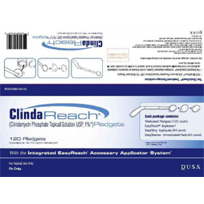 The ClindaReach kit comes with an applicator arm with a pivoting head that helps you apply the topical treatment privately. The applicator arm has medicated pads that help you reach your entire back without having to ask for assistance. The entire kit comes with an applicator arm, medicated pads, and unmedicated pads to help you cleanse your skin and eliminate acne. 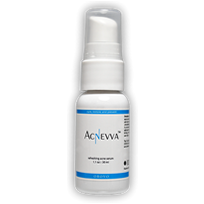 The 1% Clindamycin has the power to treat acne vulgaris. Like most prescriptions, ClindaReach does come with potential side effects. Side effects from Clindamycin include dry or peeling skin, burning, itching, or new blemishes. The treatment can also cause headaches or diarrhea. 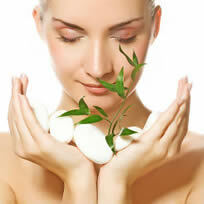 There are a number of alternative all-natural treatments and remedies for acne that avoid side effects. 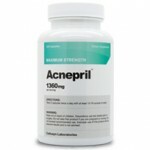 It might be more beneficial to attempt other acne products before committing to a new prescription regimen. However, ClindaReach provides you with a delivery system that treats moderate to severe acne unlike other remedies.